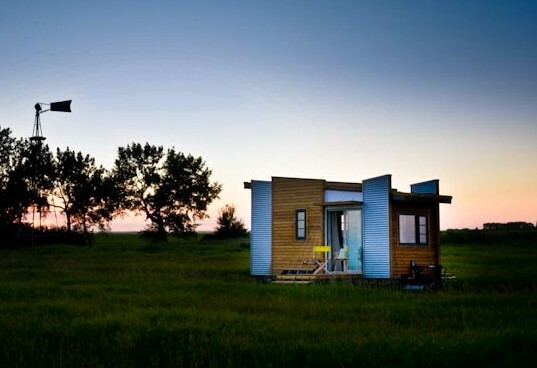 From Utopian Villas is this beautiful modern tiny house, named the Firefly. The home is available in two lengths; 24' and 28'. 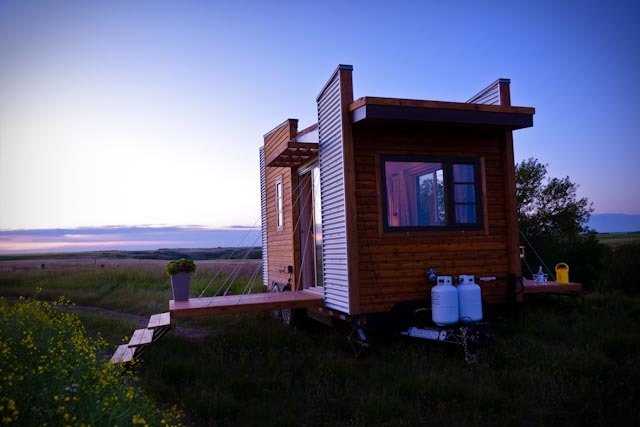 It features a hinged deck on the outside with a wood interior and high vaulted ceilings inside. 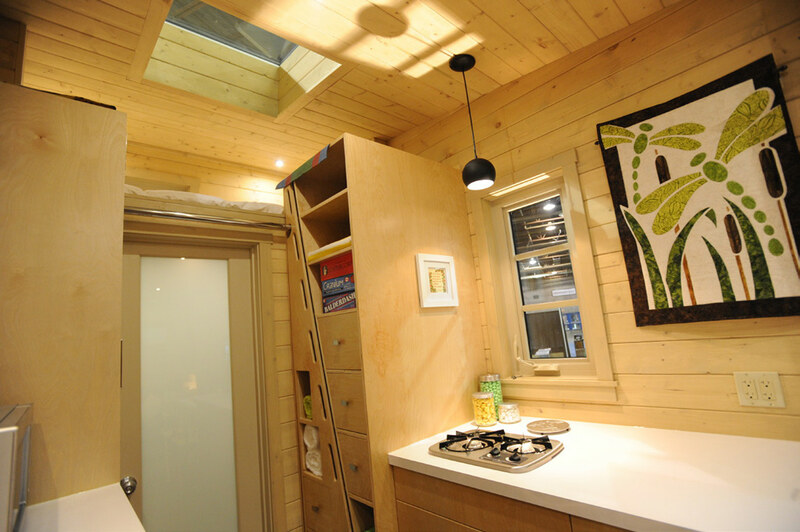 To keep the home naturally illuminated, there are two skylights and two French doors! 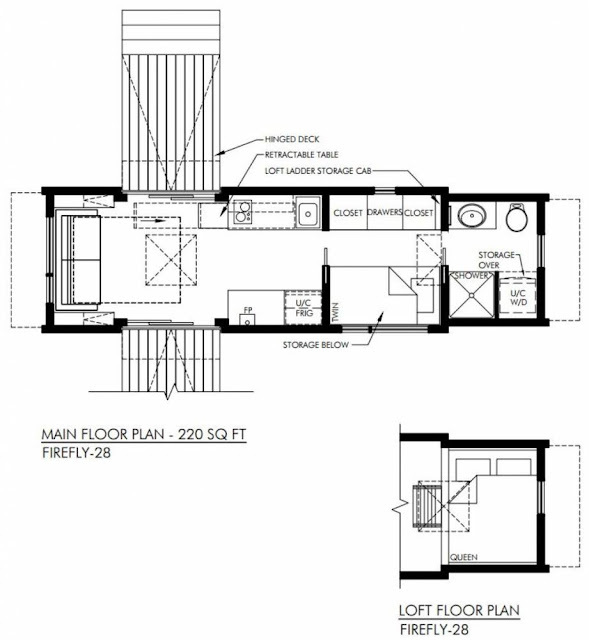 Also included is a loft bedroom with a twin bed, a living room with a sofa, a kitchen, bathroom, and a foldable table. The pricing for the Firefly starts at $64,079. For further questions and/or inquiries, contact Utopian Villas here! 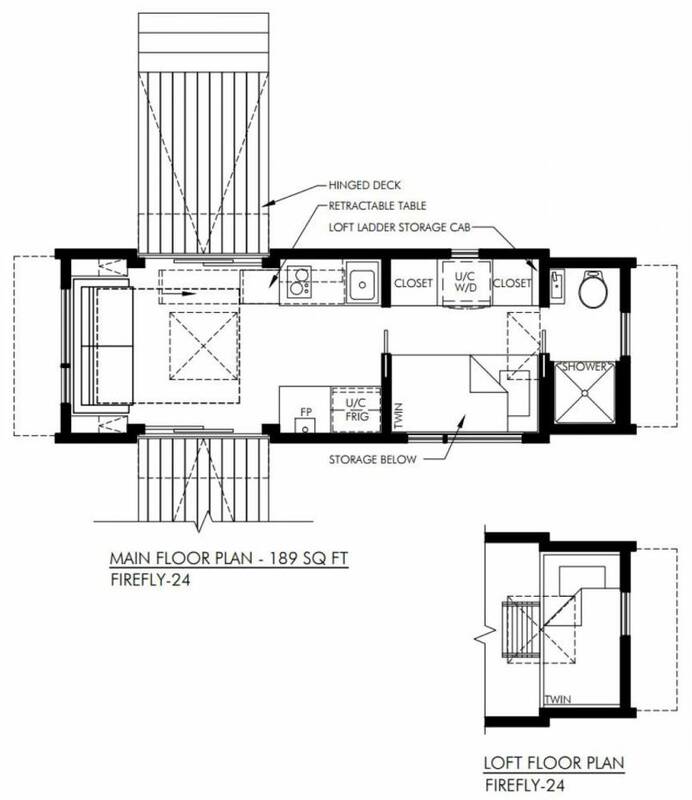 You can also check out some other homes available from Utopian Villas here!